I am a descendant of the McIver family who built the McIver/Young House (formerly the Dallie Rose Inn) in Cameron, Texas. Recently, most of the memorabilia, letters and photos from the house were sold. 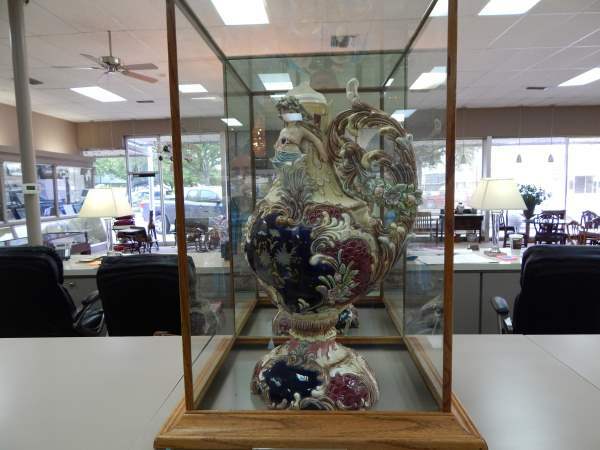 Some were given to the Milam County Historical Museum, but most were sold. I am interested in researching these materials, because of my interest in the family history, and possibly buying some of them. I am looking for information about who purchased them, or the whereabouts of any portion of them. 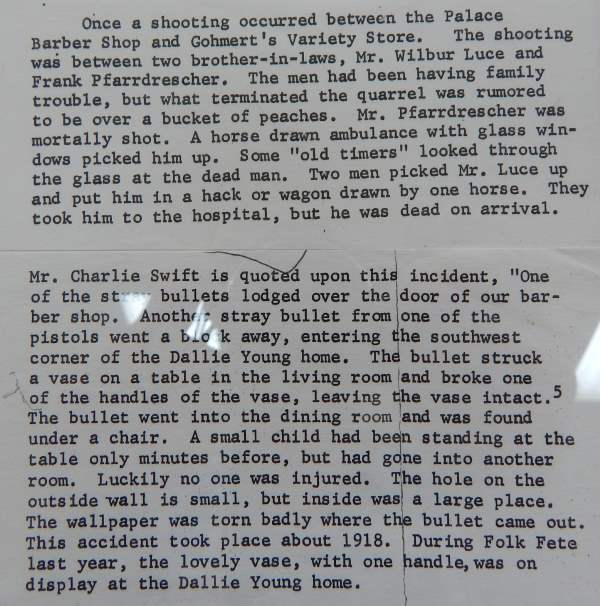 My first thought, after reading your inquiry, was to visit Mr. Charles King, the director of the Milam County Historical Museum. # 1 & 2. She and Charles were obviously good friends. Therefore I made plans to visit with Charles yesterday to discuss your inquiry. I learned from Charles that you and he had spoken quite recently, and at length, regarding the potential possibility of obtaining family heirlooms as mentioned in your inquiry. Ms. Rosalind Brinkley was suggested as the primary source for this information. This post was written to allow the reader of this inquiry to know that Charles King was kind enough to assist you in your efforts to obtain said heirlooms. Possibly the above website may give other resource ideas. Mr Brooks, Thank you so much for taking the time to inquire about these matters on my behalf. I did indeed talk to Charles and he was extremely nice, and told me that Mrs. Brinkley had kindly donated a number of items to the museum, including that vase, and also that another gentleman, who had apparently purchased most of the remaining items from the McIver/Young house, had donated several boxes of letters and other materials to the museum, but had kept the majority of the materials he had purchased from the Brinkleys. Unfortunately Charles didn't know who this man was or have contact information for him. I also corresponded with one of Mrs. Brinkley's daughters, who was very kind but also did not have contact information for this person. Subsequently, I have been in touch with another of Mrs. Brinkley's associates, who thinks that she may be able to contact this person who acquired the McIver/Young items, and has said she would get back in touch with me about this probably during the first week of June, because she is traveling this coming week. So perhaps I will be able to track this material down sometime soon. If you ever run across more information about these matters yourself, please do let me know. I am especially interested in letters and photos related to the McIver and Young families. As I may have mentioned in my post, Col. Evander McIver is my great great grandfather. I remember a cousin of mine many years ago saying that somewhere in the house was a letter Col. McIver had written during the Civil War. Charles said that there was nothing quite that old among the letters that that gentleman had donated to the museum. My branch of the McIver family (this is all on my mother's side) moved to Houston c. 1905, but they always maintained contact with their Cameron cousins, and I am interested in preserving as much of this history as I can. Thank you so much again for your inquiries on my behalf.